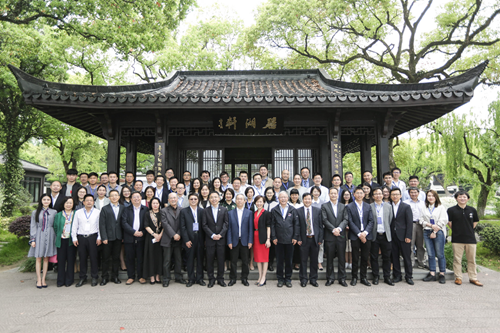 On April 22, 2018, The seminar on “The Law Application and Judicial Judgment Rules of Internet Financial Dispute Cases” was held in Hangzhou which sponsored by the Law Society of China Law Society, the China Business Law Research Institute, and the Institute of Internet Finance, Zhejiang University, Zhejiang Law Society Financial Law Research Association and Hangzhou Xin Hehui Internet Financial Services Co., Ltd. 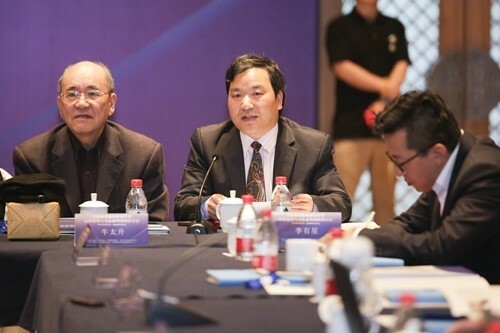 This conference included: Deputy Director of the Research Office of the Supreme People's Court, Professor Guo Feng, Chairman of the Law Society of China Law Society, President of the China Association of Commercial Law, Executive Vice President of the Law Society of China Law Society. Prof. Gan Peizhong, Peking University School of Law, Prof. Ben Shenglin , Dean of the Institute of Internet Finance, Zhejiang University, Yang Jun, Chairman of Hangzhou Xinhehui Internet Financial Services Co., Ltd., Niu Taisheng, Vice Chairman of Zhejiang Law Society, China Securities Law Research Association, China Law Society Vice President, Prof. Shi Tiantao, Law School of Tsinghua University, Vice Chairman of Securities Law Research Association of China Law Society, Prof. Li Youxing, Guanghua Law School of Zhejiang University, Vice President of Banking Law Research Society of China Law Society, and Vice President of Peking University Law School Professor, Professor of Shanghai Financial Law Research Institute, Prof. Wu Hong, School of Economic Law, East China University of Political Science and Law, Vice Chairman of the Law Society of China Law Society, Deputy Director of Shanghai Legal Office Luo Peixin, Hangzhou Xin Hehui Internet Financial Services Co., Ltd. Chief Operating Officer Shi Lin, Deputy Dean of the Banking Law Research Society of China Law Society Prof. Ji Ligang, Fudan University School of Law, Prof. Peng Bing, Secretary General of the China Business Law Research Association, Deputy Director of the Center for Financial Law, Peking University, Deputy Chairman and Secretary-General of the Securities Law Research Society of the China Law Society, and Professor Xing Huiqiang of the Law School of the Central University of Finance and Economics Professor Zeng Yang, Vice President of the Law School of Nanjing University, Director of the Complaints Committee of the China Internet Finance Association, Dean and Professor Li Aijun of the Institute of Internet Finance Law, China University of Political Science and Law, Prof. Li Wenli, School of Law, Shanghai University of International Business and Economics, Deputy Director of the People's Bank of China Inspector, Secretary General of the Financial Research Center of the State Council Counselor Zhang Shaohua, Director of the People's Bank of China Financial Consumer Protection Bureau Shu Xiong, Judge of the Third People's Court of the Third Circuit, Judge Zhou Lunjun of Internet Financial Law and Civil and Commercial Judgment Expert, Shanghai Judge Zhang Xin, President of the Fifth People's Court for Civil Adjudication in the Higher People’s Court, and the specific person in charge of the preparation of the Shanghai Financial Court; Wang Jiangjiao, executive vice president of the Hangzhou Internet Court; Shi Pengfeng, co-founder of the Internet Lending House; Chen Chen, director of the Ant Financial Compliance and Legal Department Wait. 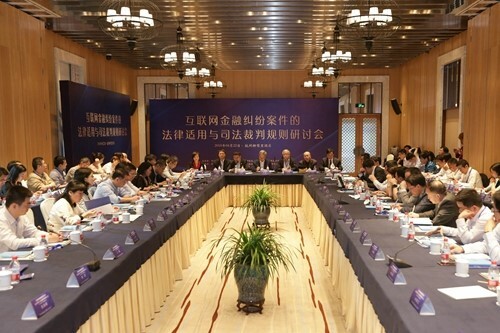 There are more than 100 people participating in the conference were leaders, experts, scholars and representatives from the People’s Bank of China, People’s Courts at various levels across the country, the Securities Law Research Society of the China Law Society, the Public Security Department of Zhejiang Province, the Procuratorate of Zhejiang Province, and the Finance Office of Hangzhou and University Masters. 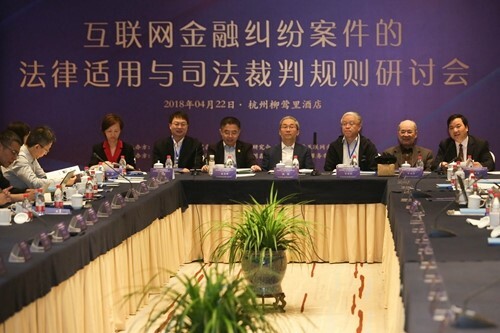 From left to right, Chairman Yang Jun, Prof. Shi Tiantao, Prof. Ben Shenglin, Prof. Guo Feng, Prof. Gan Peizhong, Prof. Niu Taisheng and Prof. Li Youxing. 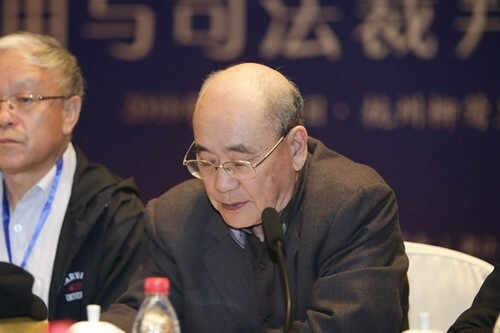 The opening ceremony was chaired by Prof. Li Youxing, a vice president of the Law Society of China Law Society and a doctoral supervisor of the Guanghua Law School of Zhejiang University. Professor Qi Shenglin, Dean of the Institute of Internet Finance at Zhejiang University, made a speech for the convening of the seminar. 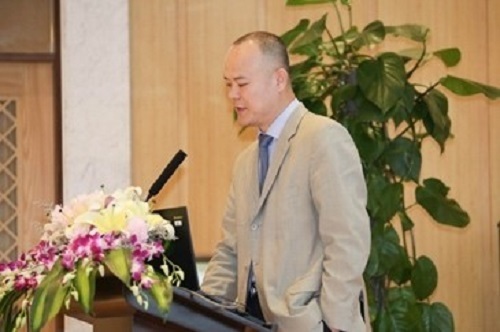 Dean Xun proposed several views on Internet finance around the theme of the conference. 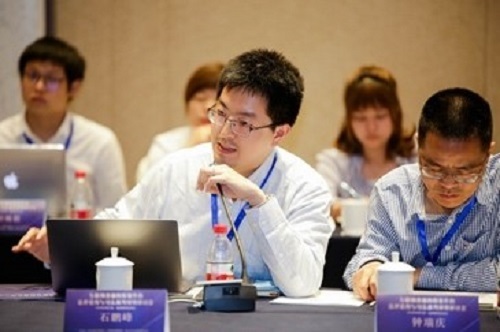 First, the rapid development of the Internet finance industry in Hangzhou which benefited from the “four carriages” , driven by financial needs, scenario applications, core technologies, and institutional regulations. Second, China's Internet finance has a shortcoming in the development of regulatory rules. Third, the design of Internet financial regulatory rules should properly handle the relationship between stability and innovation, protect the interests of consumers, and clarify the platform's responsibility boundary. Fourth, finance has social dimensions. Public attributes, Internet finance practitioners should understand the customer, and adhere to the principle of appropriateness. President Sheng Shenglin hopes that China's Internet finance can continue to promote rule innovation while technological innovation, and create the world's leading institutional environment for the Internet financial industry. 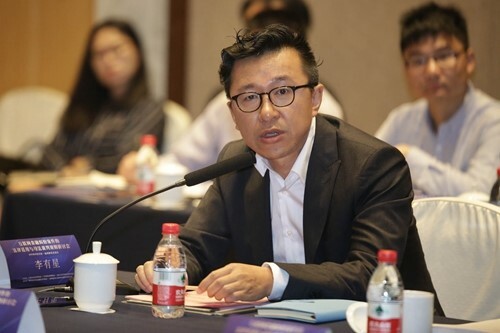 According to Shi Lin, chief operating officer of Hangzhou Xinhehui Internet Financial Services Co., Ltd., Hangzhou is one of the innovation centers of internet finance. As a platform for internet finance, Xinhehui and many online loan platforms always insist on self-discipline in order to become a national player in order to be the important force for the prosperity of the real economy. 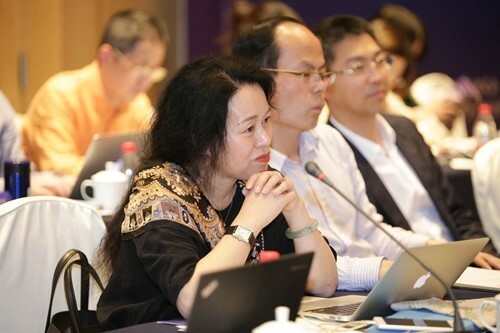 It is expected that through the convening of the seminar, the consensus of legal academic and practical circles will be pooled to promote the development and prosperity of the Internet finance industry. 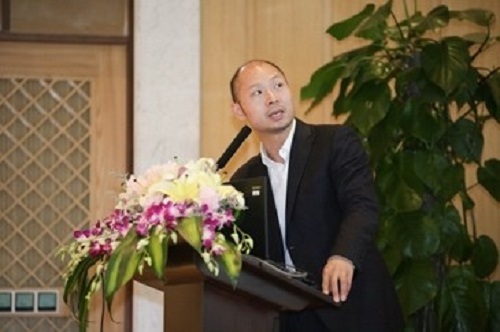 Shi Lin, chief operating officer of Hangzhou Xinhehui Internet Financial Services Co., Ltd. Professor Gan Peizhong, chairman of the China Business Law Research Association, first clear that “Internet+” is not the same as Internet finance. Second, the supervision of Internet finance requires the strengthening of exchanges between supervisory departments, industry associations, and practitioners, etc., to jointly improve regulatory rules. Finally, the development of Internet finance has accumulated more problems so far. Such as mang cases and the people. It is necessary for the court to issue reasonable and perfect trial rules as soon as possible. 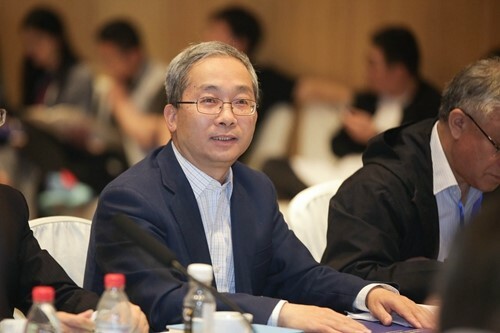 Niu Taisheng, vice chairman of Zhejiang Law Society, combined with General Secretary Xi Jinping’s request to “ensure that the Internet is healthy in the rule of law” in the national cyber security and informationization work conference, put forward three issues that Internet finance needs to focus on: First, accurately distinguish and identify legal relationships. Second, properly handle the related issues of administrative, civil, and criminal legal norms. Third, establish information sharing mechanisms for administrative supervisory agencies, platform companies, and the judiciary to achieve complete and effective information data. Guo Feng, deputy director of the Research Office of the Supreme People's Court, addressed the successful convening of the meeting and proposed that there are four important backgrounds for the convening of the conference: First, in the context of strong regulatory and institutional reforms, Internet finance is facing unprecedented challenges; Secondly, the number of judicial dispute cases has increased dramatically. Once improperly handled, it will seriously affect the healthy development of Internet finance. Third, the legal system and rules of judicial adjudication are also important national instruments and need to carry out key research. Fourth, the People's Court deals with Internet financial disputes. Cases face many legal problems. We hope to form a judicial adjudication recommendation through this meeting and play an active role in researching and formulating judicial interpretations and promoting the regulation of the development of internet finance. Prof. Li Youxing summed up the content of the first unit’s speech and proposed issues that need to be addressed in order to study the legal application and referee rules of Internet financial cases: first, clarify the relationship between regulatory policies and judicial decisions; second, clarify regulatory interest rates and judicial interest rates.；third，clarify the relationship between compliance and legality; and fourth is to clarify the rules governing the governance of Internet financial cases. 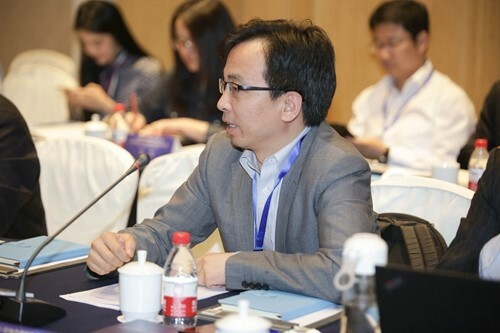 The second module of the conference was chaired by Professor Gan Peizhong, President of the China Business Law Research Association and Peking University Law School. 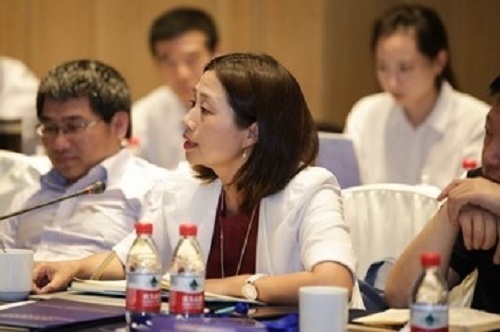 In the discussion of this unit, Zhang Xin, the president of the Fifth Civil Division of the Shanghai Higher People’s Court, introduced the Shanghai P2P online loan trial practice and the preparation of the Shanghai Financial Court. He believed that the current P2P online loan platform mainly involved in the lending transaction. , Separation of creditor's rights, increase of trust and capital pools, disclosure of information on borrowers, suspected self-inflation and other violations. 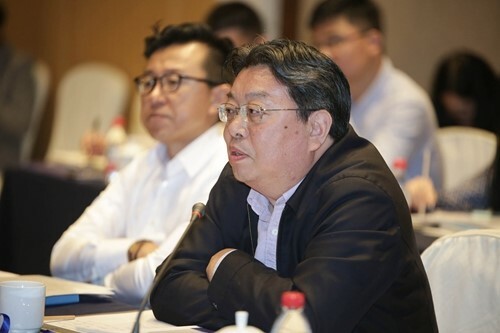 Wang Jiangqiao, executive deputy director of the Hangzhou Internet Court, introduced the Internet financial court trial practice of the Hangzhou Internet Court. Under the impetus of judicial innovation such as smart filing, electronic delivery, financial quick review mechanism and asynchronous trial, many problems were solved, but at the same time, Problems such as jurisdiction, validity of electronic data security, etc. need to be solved. 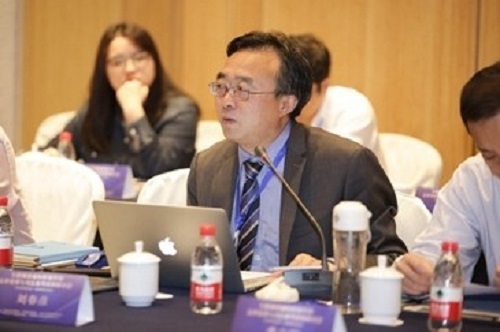 Professor Lili Li, Vice President of the Banking Law Research Society of the China Law Society, expressed his opinions from the perspective of the bankruptcy of the Internet financial platform, analyzed the legal issues of platform bankruptcy that may be faced in judicial practice, and put forward corresponding solutions. Judge Zhou Lunjun, a judge of the Third Circuit Court of the Supreme People's Court, believes that judicial practice must first solve key issues such as the nature of the platform, business attributes, and information review standards, take into account the reasonable costs of business operations, and take comprehensive consideration of legal and judicial policies and regulatory rules. 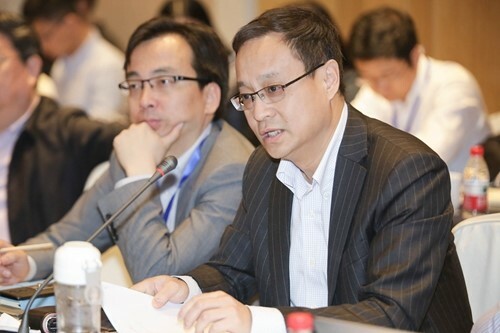 Chairman Yang Jun ,Hangzhou Xinhehui Internet Financial Services Co., Ltd. The third module of the meeting was chaired by Professor Shi Tiantao, executive vice president of the Law Society of China Law Society. 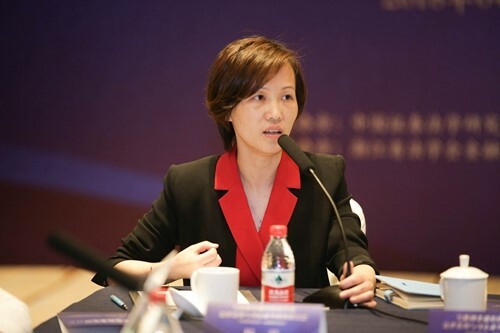 Luo Peixin, vice president of the Law Society of China Law Society, believes that the convenience of the Internet determines the special nature of Internet financial supervision. The government must understand the object of supervision and strengthen the prior work. 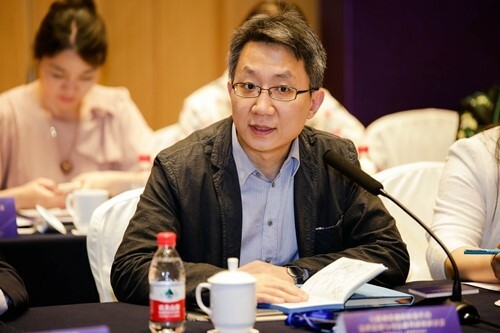 Professor Wu Hong, President of the Shanghai Financial Law Research Association, introduced the three major features of Internet financial supervision, namely, lagging, emergency and non-openness. Judicial review of regulatory rules should be considered in judicial trials. 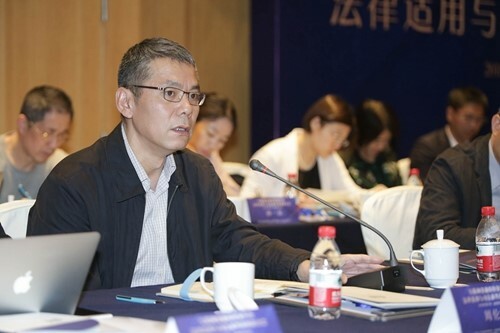 Professor Li Aijun, director of the China Internet Finance Association Appeals Committee, believes that Internet financial supervision must clarify business logic, legal conflicts, and social values. Supervision is in the matter and in advance, and justice is afterwards. Professor Zeng Yang, deputy dean of the School of Law of Nanjing University, put forward that Internet finance not only focus on the Internet but focus on finance. Professor Shi Tiantao, executive vice president of the Law Society of China Law Society. 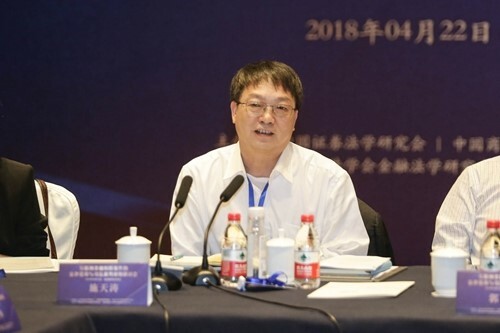 Professor Guo Yan, the vice president of the Banking Law Research Society of the China Law Society, presided the fourth session of the conference. 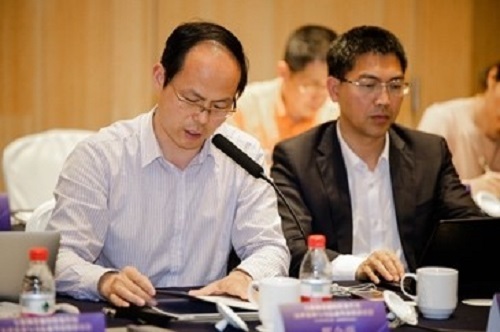 Zhang Yuhua, deputy inspector of the staff's office of the People's Bank of China, spoke first and specifically analyzed the division of the central and local supervisory authority. Prof. Peng Bing of PKULS expressed his opinion on the necessity of the introduction of internet financial judicial interpretation. He believes that current Internet financial disputes are of a temporary and emergency nature and it is not appropriate to formulate universally applicable judicial rules. Professor Li Wenli from Shanghai University of Foreign Trade and Economics introduced the development of equity crowdfunding in China and foreign experience. 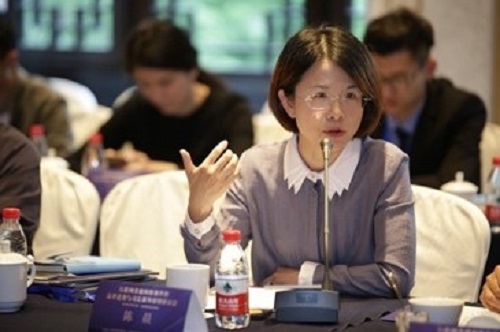 The director of the People's Bank of China’s Financial Consumer Protection Bureau, Shu Xiong, believes that the principle of equal protection should be applied to professional investors on the issue of financial consumer protection, and ordinary financial consumers should be protected by tilting and establishing a diversified dispute resolution mechanism for internet finance. 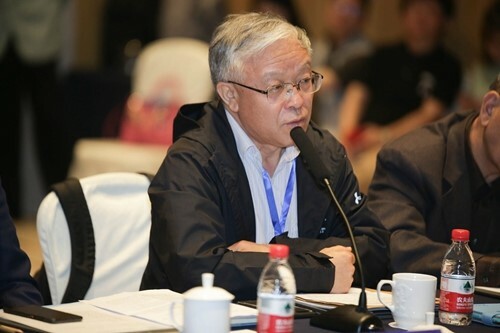 Dr. Liu Jinyi from PKULS responded to issues such as registration of net mortgages and mortgages, lawsuits, evidence, jurisdiction, industry policies and regulations put forward by Xinhehui, and proposed new ideas such as repurchase of recourses and new issues. view. 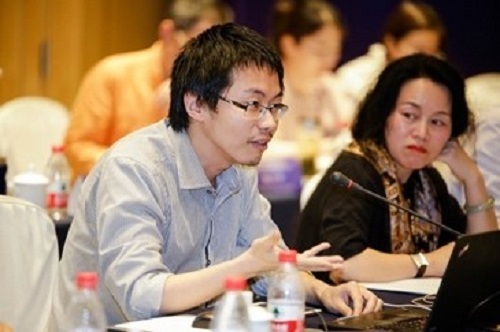 Prof. Liu Chunyan of the law School of Tong Ji University believes that the legal application of Internet financial dispute cases should return to the basic rules of the right of claim under the existing legal system. Mr. Chen Sheng, director of the Banking Legal Practice Research Center of Shanghai Law Society, gave a speech on the relationship between banking supervision and internet financial supervision. 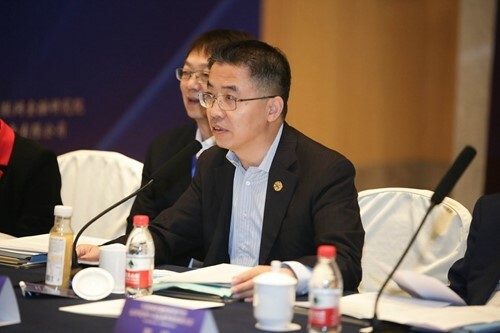 Chairman Yang Jun of Hangzhou Xinhehui Internet Financial Services Co., Ltd. delivered a keynote speech on the topic of Internet financial practice, and proposed that the biggest confusion of the Internet financial platform is the clear issue of platform positioning. 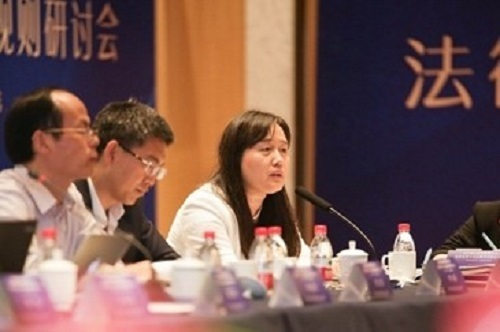 Luo Peixin, deputy director of the Law Society of China Law Society and deputy director of the Legal Affairs Office of Shanghai, presided over the fifth session of the conference. 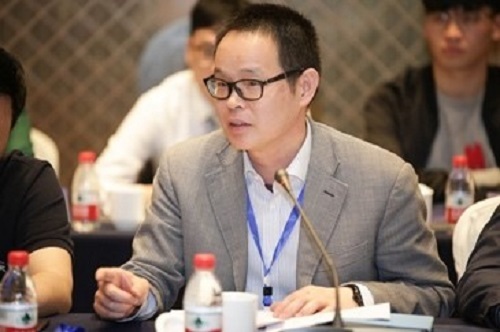 Chen Chen, director of compliance and legal department of Ant Financial Services, believes that it is not appropriate to impose excessive liability on third-party payment agencies. 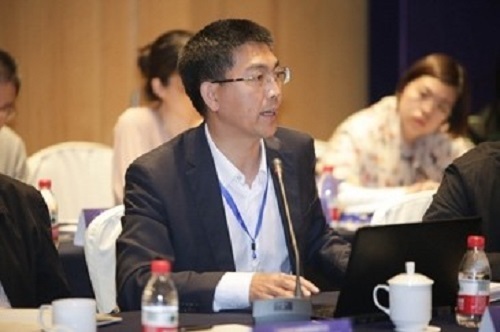 Director Guo Feng introduced the disagreements between payment agencies and judicial opinions, and proposed that relative to consumers, institutions are strong and have security obligations. Prof. Peng Bing believes that banks with bank cards stolen should apply strict liability, but they should have strict and limited liability. Professor Li Aijun also believes that payment agencies have more information, have greater impact on society, and have greater responsibilities. Associate professor of the School of Law of the Central University of Finance and Economics believes that accepting the shortcut of password payment will bear the corresponding risks. Afterwards, Shi Pengfeng, the co-founder of Lending Home, expressed his brilliant views on the financial attributes of internet finance. 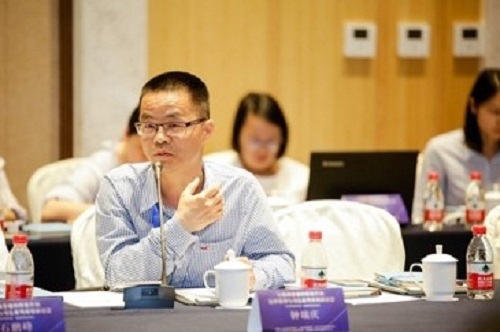 Professor Zhong Ruiqing of the Guanghua Law School of Zhejiang University focused on the logical contradiction between the P2P network loan filing system and the platform information intermediary positioning. 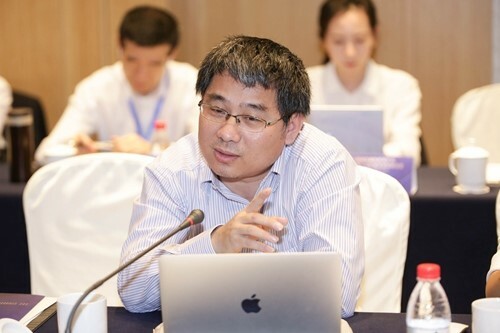 Professor Xing Huiqiang believes that the judicial interpretation should distinguish between professional investors and financial consumers, and exercise sloping protection for financial consumers, including the inversion of burden of proof, emphasis on the principle of suitability, introduction of fiduciary obligations of financial institutions, and the opposition to securities law. Fraud and civil litigation mechanisms were extended to the internet wealth management sector, and the internet financial platform and third party payment platform were positioned as financial market infrastructure. Prof. Xing Huiqiang presided the closing ceremony. Professor Li Youxing made a concluding speech. He affirmed the work of the organizers and contractors of the conference and expressed his sincere gratitude to the attending leaders and distinguished guests. Afterwards, Prof. Li Youxing summarized the issues raised and results achieved at this symposium. First, Internet finance is characterized by smallness, scatteredness, and publicity. It is complementary to traditional finance and not a substitute. Second, they questioned the current regulations that positioned the P2P platform as an information intermediary. Thirdly, the prohibition provisions in the regulatory documents do not necessarily lead to the invalidation of the contract, and the Internet financial regulatory rules should be raised to administrative regulations. Fourth, there is a flaw in the disclosure of information on China's platform. Whether it can be applied to the fraud market theory remains to be explored. Fifth, under the circumstances of mixed operations, it is more appropriate to draw on the regulatory model of unified management of the UK Financial Conduct Authority. In the end, this seminar ended successfully in warm applause! 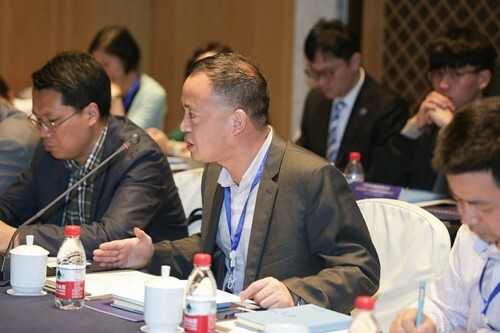 The research results of this conference will be reported to the financial supervision department, the judicial review department, and the China Law Society and the results will be transformed.